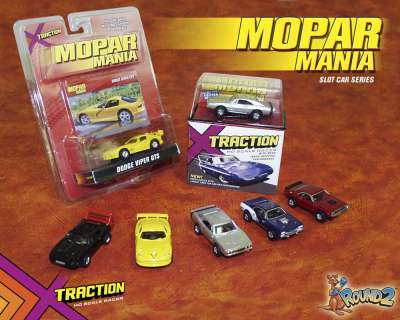 Originally designated as Mopar Muscle these are a continuation of the Mopar series produced by Johnny Lightning. There are six cars in the set which come in either the original jewel box packaging or the new clam shell packaging. The jewel boxes are now shrink banded around the entire box allowing the buyer to be fairly confident that no one has made any modifications to the original car. The clam shells come with a collector card depicting the original that the car is based on. Either jewel box or clam shell these cars will be collectible or fun to race for years to come.